Manchester United have some big decisions to make this summer. The potential for high-profile exits - Paul Pogba and David de Gea are being consistently linked with moves away - is looming large at the moment following a recent form dip. But the current media talk goes heavy on United's determination to spend big and address issues that have been holding the team back for years. United fans will certainly hope their club can spend in the right places, and the latest reports suggest they could be ready to ​axe as many as six players, while signing another five. Figures from between £200m-£300m have been floated as the potential outlay on the playing staff. Perhaps more dependent on player sales - maybe a Chinese Super League club will pay £100m for ​Alexis Sanchez? So we're going to imagine spending big money (£400m probs) by buying five players, fitting them in to the new-look team for next season at the same time. Remember, this is fantasy and in no way are we saying this is going to happen. But nevertheless, we're going to try and build a team that works, and a system that has balance, basing it on the speculation that's come and gone around United's likely business. United have problem, and that's ​David de Gea's contract. It's up next summer, but the club are determined to dig their heels in and work out an extension - even while the player is looking to become one of the best paid players at the club. It'd take a huge offer to convince United to sell this year, but they'll need to be careful - the Spaniard could walk away for free in 2020. Crystal Palace full back Aaron Wan-Bissaka is one of the Premier League's most wanted, and United are right at the front of the queue to sign the £40m-rated star. Roy Hodgson has admitted Palace will sell for the right price, so it's all about getting this one done quickly. United may have Diogo Dalot's promise to nurture, but they don't have much else to rely on. Right back is a crucial position to strengthen. You want Ashley Young playing in this position next season? No, of course you don't. The Swede has proven himself as United's first choice central defender this season. 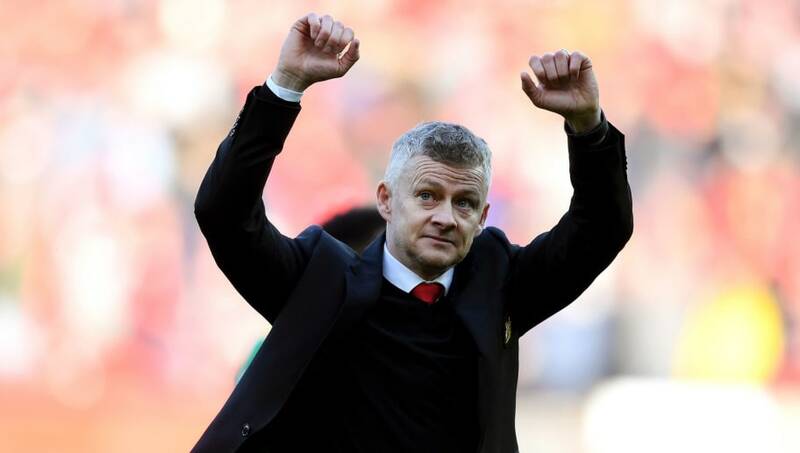 He's been very good barring the odd below-par game (most of which have come recently) and looks to have all the tools to actually succeed at Old Trafford. He's only 24, remember, so there's still plenty more to come - but Lindelof could do with someone of the highest quality alongside him. And no, we don't mean Chris Smalling or Phil Jones. United must spend big on a centre half this summer - a man at the top of their game - and Kalidou Koulibaly will fit the bill. He won't come cheap. The touted fee is in the region of £90m at the moment, but United need someone to have an impact on their defence at the levels that Virgil van Dijk has hit at Liverpool - as painful as it is to say. It'll make a world of difference, and potentially take them up a level. Latest talk is that the Senegalese has switched agents with the ambition of leaving Napoli, so watch this space. ​Shaw has been one of United's most consistent performers this season, winning the club's player of the month award three times, and he should retain his place next season regardless. United do need cover at left back, but it's not the most crucial part of the squad to address at the moment. Nemanja Matic turns slower than it takes Earth to do one full rotation on its axis, so Manchester United need a new defensive midfielder for next season. Declan Rice looks the real deal, he's English - not Irish - and he looks an actual realistic target. He's excellent at bringing the ball forward from deep, distributes well and his first touch is exemplary. West Ham have, similarly to Palace, admitted they'll sell the 20-year-old for the right price (going to pluck £50m out of the air here) so it's a worthwhile investment. Okay, we're entering dreamland now. United's latest high-profile transfer target is Atletico Madrid's Saul Niguez, and he will cost a lot, a lot (a lot) of money if they do end up landing him. How much? Anywhere between €120m and €150m. What a signing he'd be mind you. ​Andrew Headspeath has written this ​excellent piece on why he'd be the perfect fit. ​Paul Pogba might have his head turned, his agent might be turning it for him, or he might be completely happy in Manchester. You can expect this transfer saga to run and run as Real Madrid try and spend £8bn of "their own money" throughout this summer transfer window. However, the World Cup winner is a huge commercial asset for United, as well as a huge asset on the pitch, and he has two years (with an option to extend for a third) on his contract. Good luck trying to buy him. Jadon Sancho has been dubbed "​Manchester United's number one transfer target" for a number of weeks now, and you can see why. England's latest international star is lightning quick, direct, tricky and hungry to prove himself in the Premier League, and while United were recently said to be writing the deal off because of expense, they have a penchant for signing the big names. Sancho is nearly there. If they don't want to blow another £100m, PSV's Chucky Lozano is a cheaper alternative option at around £35m. But this Sancho chat could run and run. Having signed a new contract recently, it's now time for ​Tony Marshall to get down to business and start showing his quality on a consistent basis. United fans know he's got it in his locker, but it's time to deliver on that potential for the Frenchman. He's got his chance now. ​Manchester United's golden boy has come into his own since Ole Gunnar Solskjaer's appointment. He's the club's number one forward and he's got levels to hit as he continues to mature in the central striker's role. Expect Rashford to lead the line for a long time to come.